Designed to appeal to those who are looking for a premium hatchback, the BMW 1 Series three-door is claimed to offer a sporty and elegant design. It’s also one of the only cars in this sector that’s available with rear-wheel drive, something that many hold in high regard. Externally, barring the obvious deletion of two doors, there have been some minor changes. Most notably, the remaining doors have frameless windows and the rear windows have been reshaped. Compared to the previous three-door 1 Series, the new generation is slightly bigger. It’s longer, wider and has an increased track to improve stability. This has helped improve interior room and has also increased the available space in the boot from 330 litres to 360 litres. Drop the folding rear seats and the storage space increases to 1,200 litres. Those seeking more practicality can specify an optional 40:20:40 split for the rear seats. 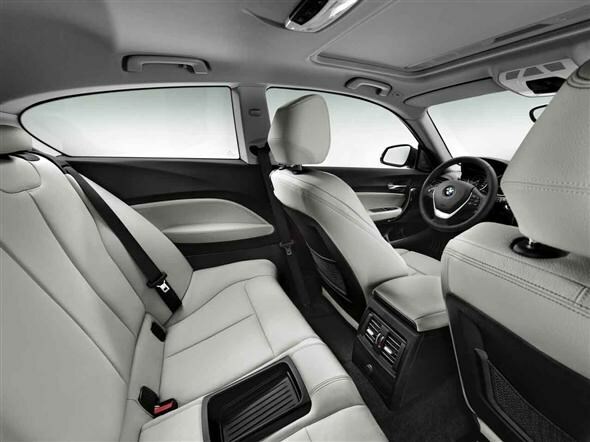 Inside it’s much the same as the conventional five-door version, with an upmarket and comfortable interior. You get plenty of kit as standard, with even base models packing air-con, a CD player, remote central locking, electric windows, electric wing mirrors and an auxiliary connection for MP3 players. An extensive range of engines are on offer. The entry-level model is the 114i, which features a 1.6-litre petrol engine. It outputs 102bhp and a peak pulling power of 180Nm. Despite its relatively small punch the 114i can still accelerate from 0-62mph in 11.4 seconds, while economy is a claimed average of 51.4mpg. Emissions are rated at 129g/km of CO2, meaning road tax of £100 and no first-year tax. 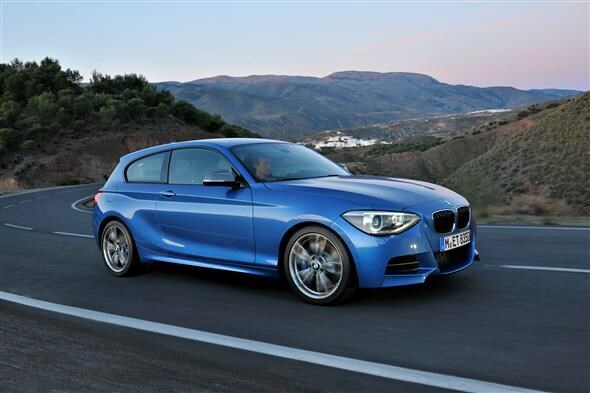 Other petrol versions include the 116i, outputting 136bhp, the 218bhp 125i and the new range-topping M135i. 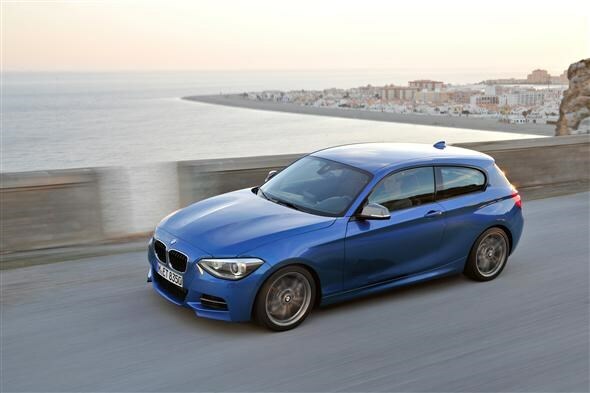 The M135i will be the first 'M Performance' model with a petrol engine. Under the bonnet lies a 3.0-litre six-cylinder powerplant that outputs 320bhp, allowing for 0-62mph in 4.9 seconds with the eight-speed automatic transmission. 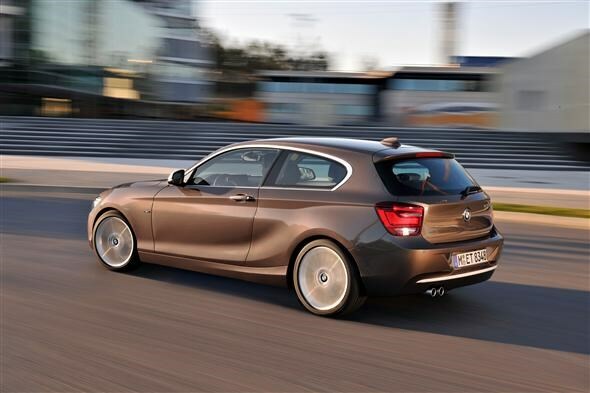 The M135i also gets M-tuned suspension, tweaked bodywork that's more aerodynamic and M-specific trim and detailing. A five-door version will also be available, for those requiring improved practicality. The diesel line up is comprised of the 116bhp 116d, the 143bhp 118d, the 218bhp 125d and the 116bhp 116d EfficientDynamics edition. Those looking for maximum economy should consider the EfficientDynamics model, which is claimed to average 74.3mpg and emits 99g/km of CO2. That means free road tax and no congestion charge fees. Don’t discount the more potent 125d though, as despite its additional power it can still average a substantial 58.8mpg. Five trim levels are on offer – ES, SE, Sport, Urban and M Sport. There’s also an M135i model with unique interior and exterior changes. Later the line up will be further expanded by a 170bhp 118i version, a 184bhp 120d model and four-wheel drive models badged xDrive. All versions come with six-speed manual gearboxes as standard but eight-speed automatics, or an eight-speed sports automatic, are available as options. BMW’s EfficientDynamics technology also features heavily, adding kit such as auto start/stop and an ECO PRO driving mode. Safety equipment includes the usual compliment of airbags, as well as stability control and an active differential brake to help improve traction. A range of options and assistance packages are available including high-beam assist, cruise control, heated seats, adaptive headlights, a rear-view camera, lane departure warning, adaptive cruise control, internet access and a parking assistant. 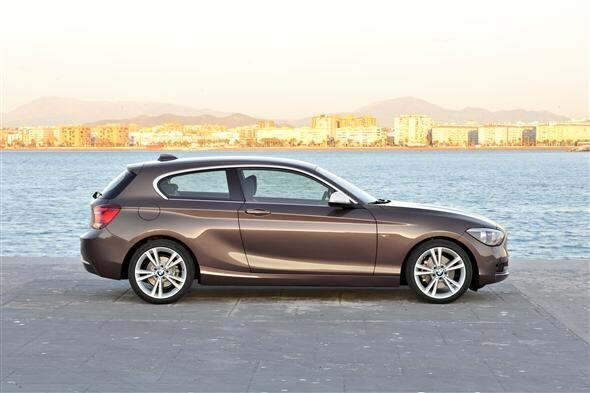 The new three-door BMW 1 Series goes on sale in September, with prices starting at £17,300 for the 114i ES.